Hello Guys in this post we talk about how to root any android nougat 7.0/7.1 without using PC Computer. As we know as Google already release Android Nougat sweet for all users and lots of users want root their device and in this post I will show you step by step guide on how you can root android nougat without PC Computer. So for this tutorial we are using two different methods first method is Kingoroot and the second method is flash SuperSU zip using custom CWM/TWRP Recovery. Both methods tested on custom ROM and stock ROM, but do it at your own risk I am not responsible for any Damage. You can also install Xposed on Android Nougat. Before root your device, You needed to make a full backup of your device data, contact number and other important data. Install APK on your device, and Connect your device with WIFI or mobile Data network because the rooting scripts downloaded from Kingo's server. Open Kingoroot Application, and Tap the icon of KingoRoot and press "One Click Root" to start. If you get the failed result, You may want to try it several times because it will download many scripts from the server and apply it on your device. If the KingoRoot mobile Application method still failed for your device. 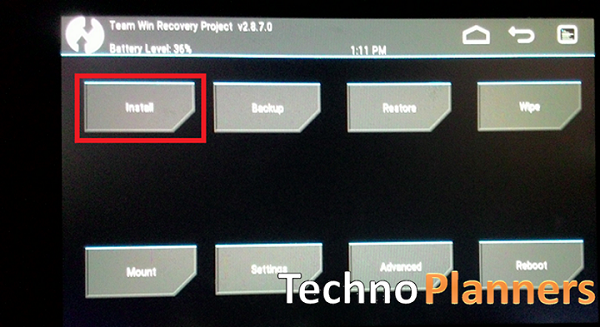 You have to try the second TWRP recovery method or you can use KingoRoot PC version. Download SuperSU zip file from the end of the post link given. Copy the SuperSU zip file and paste into your device internal storage. Power off your device and boot your device into TWRP recovery mode. Now Tap on “Install” option and select the SuperSU zip file. After selecting the SuperSU.zip file, do “Swipe to Confirm Flash” on the bottom of the screen to begin the flashing process. Congratulations, Now you can verify root successfully installed or not by using the Root Checker Application you can download the Root checker Application from Play Store. Please share this post with your friends and family, Comment down below if you have any question. Thank you and have a nice day. We have to install SuperSU app???? ?